Another year filled with adventures and sweet memories has passed. 2016 was an amazing year of travel for us. And, it’s really hard to top it up this year. So we thought this time is also the great time to wrap up the highlights of the past year’s best moments. Top of our list is our Palawan Adventure. This was our grandest and most unforgettable adventure we had last year. We had experienced lots of remarkable first times. Some of our first times we had are as follows: It’s our first time to do island hopping together, experience our first flight (travelling via plane is so addicting that we still want to do it more often), use our newly bought toy, GoPro Hero 4 Session, see Puerto Princesa Underground River and different endangered species, do kayaking, experience snorkeling, meet new friends and many more. Your smile shines the brightest. We never had a formal bucket list which we can review anytime. But if we do (we’re pretty sure that we will have one soon. We will keep you posted. ), we might cross off almost all the activities on our bucket list. This is also the place where we celebrated another year together. Our 6th Anniversary Celebration. Writing this article now made me feel quite nostalgic about the memories we had in Palawan. We love our Palawan Adventure and we will definitely want to come back soon. 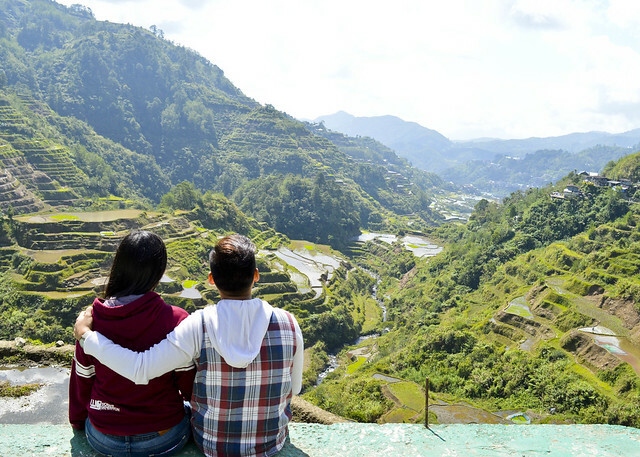 Sagada was the coldest and most romantic place we traveled last year. The simplicity of the lives of the people in Sagada made us love the place more than any place we had visited. We remembered the days when we had traveled from Manila to Sagada for more than 12 hours (but it’s all worth it) and conquered the spelunking inside Lumiang to Sumaguing Cave Connection (this is a must-try activity in Sagada) on the first day, woke up early and waited for the sunrise at Kiltepan Peak (most romantic place in Sagada), experience the top load (awesome experience), chasing Pongas Falls (Bomod-ok Falls on that day was closed and under maintenance), eat their delicious delicacies (though, it’s little bit pricey), and explore famous attractions on the second day, get off at the highest point in the highest highway in the Philippines and went to Strawberry Farm (for a short break) to buy souvenirs on the third day. After remembering all those things that we’ve done, we’re really missing Sagada. Hope we could find some time to visit this place this year again. This was our first out-of-town adventure without any friends or family joining with us for 3D2N. Though we invited several of our friends but seems like this Sagada Adventure is only for us to explore. This adventure was also an advance celebration of Madj’s 24th Birthday. Yey! Happy 24th Birthday Honey! We really planned it on her birthday but due to some schedule conflicts we moved it in advance. To be honest, since this was our first out-of-town adventure, I bought new DSLR camera. I’ve just realized that I need to have an upgrade for my camera. From A2300 PowerShot Canon Digicam, which is my very first camera, to Nikon D3200. We’re glad that we’ve upgraded our camera. We’ve lots of good pictures after we bought it for Sagada Trip. 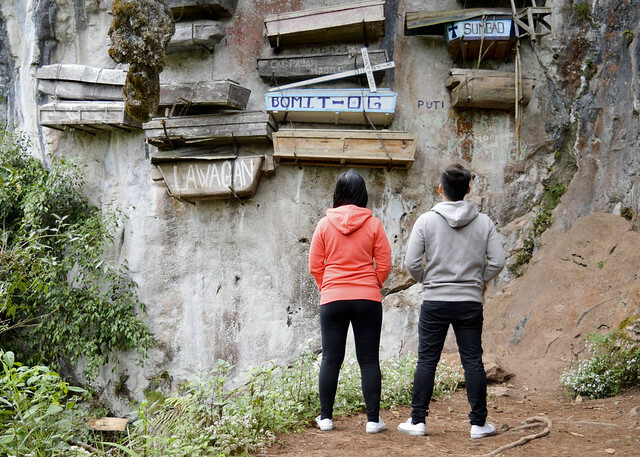 Sagada is famous for its beautiful caves, hanging coffins, as well as the serene mountains. If you want to have a perfect place where you can relax and feel the cool-breeze air, this is the best place for you. Currently, I haven’t published our Sagada Adventure yet. But for the summary of our trip, here’s the video compilation of our 3D2N stay in Sagada. 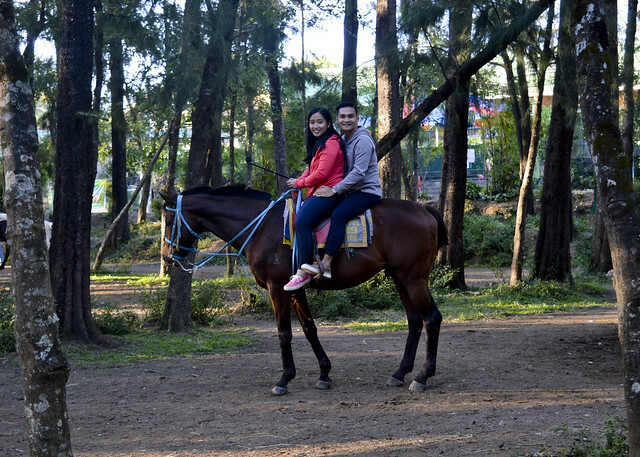 Our Baguio adventure had been our advance Christmas gift for ourselves. This is a gift that we treasured and cherished forever. We had so much fun exploring Baguio City. 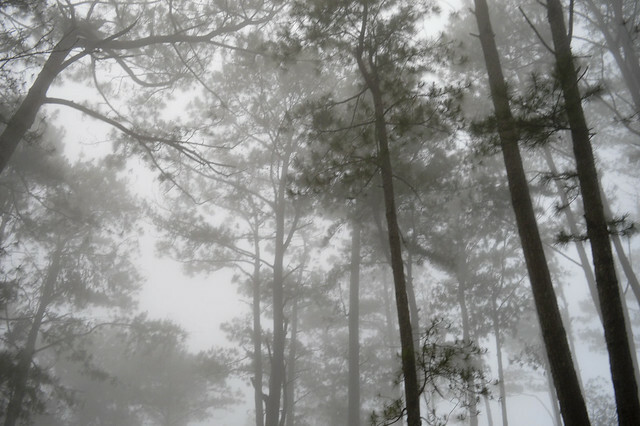 To tell you honestly, this has been our first time exploring the City of Pines, Baguio City. For Madj’s, she had been here few times before but she did not have much time to explore it. There were activities we tried and places that we’ve been for the first time such as riding a horse, riding boat at the Burnham Park, set foot at the famous BenCab Museum, picking strawberries, night shopping at night market along Harrison Rd. 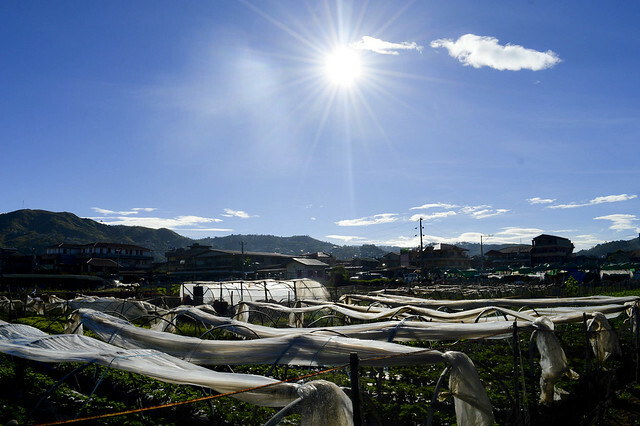 Compare to Sagada, Baguio is the most convenient place to go from Manila. 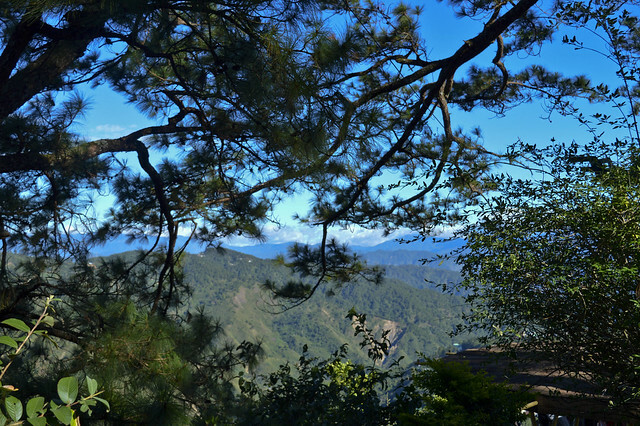 We love to walk and to savor the breath of fresh air of Baguio City. We love the cold weather in Baguio and we really miss this. This was our first Nueva Ecija Adventure. Minalungao National park has its elusive beauty that anyone who can see this place will be amazed and thrilled by this God’s beautiful creation. We remembered from this adventure we only went on caving, walked on the hanging bridge and had a quick dip into the green and clear river. We haven’t tried all the activities available for guests when we got here such as their Zip line, 1000 steps to Grotto, and bamboo rafting. We will surely get back here soon to try the activities that we have missed. These are the excellent falls to go when you’re planning on your next day trip adventure. 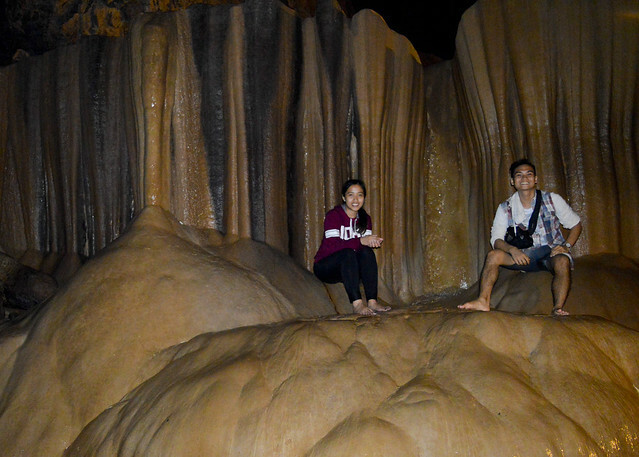 We really enjoyed the Cavinti Falls much more than what we expected. No words can sufficiently depict the sensation we felt as we went into the Devil’s Cave via Bamboo Raft. It’s really unforgettable. You must try it too. 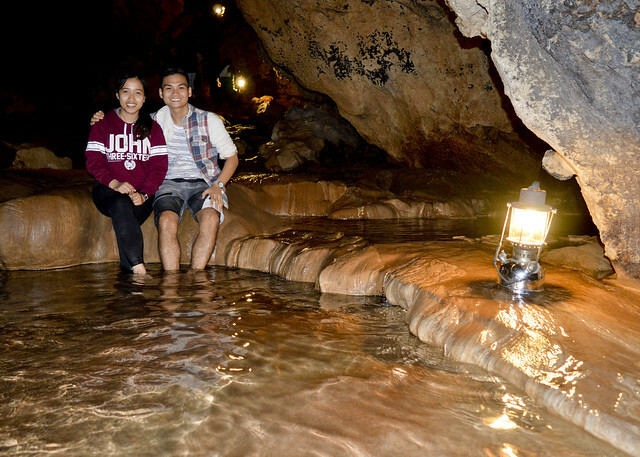 Our Daranak Falls Adventure was our first time to celebrate Valentine’s Day outdoors. Before we went to Daranak Falls, we only have one goal. That goal was to have a selfie with Daranak Falls. But that was not only the thing that we got from this adventure, it also gave us an unforgettable Valentine’s Day. We really love celebrating special occasions in new and adventure-filled places like these two amazing falls. Hope we could do more biglaan adventures. These three awesome mountains were our hang-out place for the first two months of 2016. January: Mt. Pico de Loro; February: Mt. Pamitinan and Mt. Hapunang Banoi. After the second month of the year, unfortunately, we had no schedule of hiking. That’s the reason why we really would like to relive the extreme and intense feeling while we were struggling to step up our feet until we reach the summit. Feeling nostalgic again. Mt. Pico de Loro Monolith: Most Breathtaking and heart-stopping adventure we’ve been in 2016. We love the intense feeling when we were using the rope going up to the monolith. Mt. Pamitinan & Mt. Hapunang Banoi : For beginners like us, Most dangerous and hardest climb we’ve done in 2016. This was our first time we tried to chase two waterfalls in one day. This was also the most awesome and biggest group barkada getaway. It’s truly great to have a group that shares the same interest with us. Activities such as nature-tripping, chasing waterfalls and mountain climbing are the evident interests above all. It was our first time to go to two museums in one day. We’ve been induced by the free admission of National Museum for the whole month of May. We’ve seen different painting galleries, sculptures, prehistoric artifacts and a lot more. Spolarium is considered as the largest painting in the Philippines. Seeing it up close and personal is the highlight of our National Museum Visit. Half a day is not enough to be delighted with different art galleries. Game of Thrones. You GOT it honey. Yexel’s Toy Museum is a great place where our love to all the toys suddenly comes to life. We availed our ticket via metro deal and it’s cheaper than the actual price in Manila Ocean Park. Different areas were arranged per movie theme. I’ll only mention Minions, Iron Man and Star Wars but there are a lot more that you can see. Yexel’s Toy Museum is truly a perfect place for toy enthusiasts and children of all ages. Our stay here was really enjoyable and amusing. I personally recommend this place to spend quality time with your family. This was our first time to visit and to set foot at Blue Coral Beach Resort. 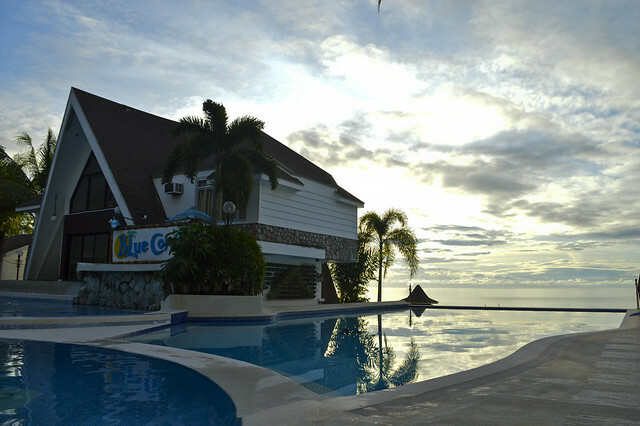 Blue Coral Beach Resort is one of the best resorts in Laiya, Batangas that’s perfect for team building activities. We loved the team building games such as table tennis, billiards, uno cards, and most especially our very own version of amazing race, water activities such as banana boat and snorkeling, buffet meals for breakfast, lunch, and dinner, and great views of the pools and the beach. This place did not fail to give us the fun-filled and enjoyable vacation. I’m very glad that Madj joined me with this team building. Therefore, we can conclude that this Christmas Party Team Building at the Blue Coral Beach Resort was the best company team building to date. We also make sure that we eat good food that will satisfy our forever hungry tummies. We’re really big fan of korean and filipino comfort food and we love our first lunch date at Kuya J’s Restaurant in SM Manila. We also love our first experience in the first cat cafe in the south, Le Cat Coffee Shop. Within our stay in this cat cafe, we’ve learned so many things about cats. Cheat Sheet on the wall. READ : Le Cat Coffee Shop – Cat Café Las Piñas : First Cat Café in the South! Wow! This has been an amazing, adventure-filled and a tough year for us! Our prayer for 2017 is that Madj and I may have a stronger relationship, more strengths to overcome conflicts in our relationship, more guidance from God and more importantly may we have another year full of love, excitements, wonders, adventures and travels. We would like to thank our readers and followers for keeping their support to us. We may not be more inspired to write and to share our adventures without you. To our friends and family, who joined our previous adventures and travels, we will take this opportunity to extend our gratitude of thanks to all of you. May you continue to join our adventures for the coming years! Cheers! More adventures are coming for Are and Madj Adventures! **Note: We will be publishing more blog posts from our 2016 Adventures this year. Watch our for it! Thank you! Cheers to more trips and adventures this 2017! Thank you so much for being such a great inspiration to us! Thank you Adrenaline Romance!